Because God has eternal divine attributes, it may be tempting to view each of His revelations as eternally binding and each of His commandments as an unalterable decree. While such a view might seem to make sense, it is inconsistent with what the scriptures teach about revelation. The following summaries provide helpful insights, specifically from the Book of Mormon, about why God sometimes gives varying and even seemingly contradictory commandments. It is certainly true that some commandments and revelations are eternal and unalterable. For instance, the eternal laws pertaining to justice and mercy are fundamental to God’s Plan of Salvation and cannot be changed. The prophet Alma went so far as to declare that even God Himself cannot defy these eternal laws, for if He did “God would cease to be God” (Alma 42:13, 22, 25). Likewise, the commandment to have charity is unquestionably eternal in nature (see Moroni 7:47). On the other hand, sometimes God’s commandments—although they are perfectly in harmony with eternal laws—can vary based on temporal circumstances. God commanded Lehi and his family, for instance, to flee from Jerusalem. Then, after they stopped to camp, He commanded Lehi’s sons to make a nearly 500 mile round trip back to Jerusalem to retrieve the Brass Plates.1 Then, after they had made that journey, God commanded them again to return to Jerusalem, this time to persuade Ishmael and his family to join them (see 1 Nephi 2–7). These types of commandments can sometimes seem self-contradictory or give us the feeling that God is leading us in circles. Readers may naturally wonder why God didn’t provide a way for Lehi’s family to get the Brass Plates and for Ishmael’s family to join them before they fled Jerusalem for the first time? From our mortal perspective, that might seem like a more logical course for God to have taken. And, surely, God had the power to have arranged things that way, without all the back-and-forth travel. No wonder Laman and Lemuel were upset. After being commanded to travel for hundreds of miles in harsh desert terrain, they were told to turn right around and go back where they came from, twice! What better evidence did they need that their father’s revelations weren’t from God? It is important to remember, however, that our ability as mortals to discern the true causes of events and the eventual consequences of our actions is significantly limited. Even though God could probably have arranged things differently for Lehi’s family, He likely had many other matters to consider—such as avoiding unseen dangers, not taking away people’s agency, the teaching opportunities that certain challenges or events may have provided, and the chain of causes and effects that a different course of action might have initiated. The truth is that human beings simply aren’t in an ideal position to scrutinize God’s commandments. God sees things we don’t, and He has His own reasons for not telling us everything He sees. What seems clear is that God often adapts or adjusts His commandments based on circumstances that only He is fully aware of. “For my thoughts are not your thoughts, neither are your ways my ways, saith the Lord. For as the heavens are higher than the earth, so are my ways higher than your ways, and my thoughts than your thoughts” (Isaiah 55:8–9). The Finger of God by Brian C. Hailes. Submitted to the 2016 Book of Mormon Central Art Contest. Another thing to consider is that prophets are more than mere paper delivery boys, tossing the news from heaven right to our doorsteps without taking much thought for what that news might be. Instead, prophets often play an active role in proposing divine courses of action and in mediating between God and man. This is powerfully illustrated in the story of the brother of Jared, who approached the Lord with questions about his people’s impending ocean voyage (see Ether 2–3). While God resolved his concerns about needing air and steering their barges, He allowed the brother of Jared to propose a solution to the remaining problem, which was their lack of light. After the brother of Jared “did molten out of a rock sixteen small stones” (Ether 3:1), he asked the Lord to touch them so that they would provide light in their barges, and the Lord granted this request. Another example comes from the prophet Nephi who received the sealing power in Helaman 10. Again, rather than calling all the shots, God trusted Nephi enough to make decisions based on the varying circumstances which came to his attention. This led to Nephi successively praying for different things based on different circumstances and to the Lord honoring Nephi’s words. First the Lord sent a famine (Helaman 11:4–5), and then, only a few years later, He removed the famine (v. 17), based on Nephi’s petitions. Sometimes there may be multiple ways to solve a problem or address an issue, and the Lord allows His prophets leeway to choose among possible solutions. Even if a chosen solution isn’t the most ideal path, it might provide important experiences or information that will lead to a better path in the future. In other words, God confirms truths to His servants “line upon line, precept upon precept” (2 Nephi 28:30), and will inspire them to change their course based on new information or circumstances as they may arise. Yet this ambiguity leads to an important question. How can we know which commandments are truly from God, rather than of men, if the Lord can sometimes turn right around and command something that seems to be opposite or contrary to a revelation He has previously given? Clearly, judging the validity of God’s revelations or commandments based on how perfectly they align with our mortal expectations is a recipe for confusion. God often will not reveal all the reasons for giving certain commandments. In fact, he often doesn’t reveal any reasons for His commandments. He usually gives them without explanation, having already provided plenty of reasons for us to trust Him. Thus, rather than endlessly engaging in intellectual speculation about the validity of a proposed revelation, a much better path is to seek revelation about that revelation. Again, the Book of Mormon provides a helpful example. Nephi and his oldest brothers, Laman and Lemuel, experienced basically the same set of trying circumstances. Yet only Nephi was able to discern the truthfulness of Lehi’s visions. This is because, rather than trying to just use his best judgment, Nephi turned to the Lord for answers. 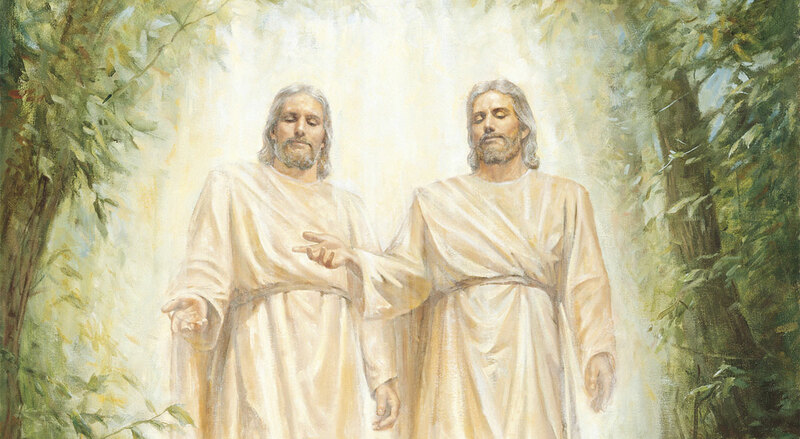 When Nephi’s brothers were confused about their father’s revelations, Nephi reminded them of something the Lord had said: “If ye will not harden your hearts, and ask me in faith, believing that ye shall receive, with diligence in keeping my commandments, surely these things shall be made known unto you” (1 Nephi 15:11). Just as Nephi found out for himself that his father’s commandments were from Lord, readers today have the same privilege. God may not always tell us all the details about why a revelation has been given, but He certainly will confirm a revelation’s truthfulness and validity. This promise from the lord is especially important to remember when a commandment or revelation is inconsistent with our expectations. As the Lord explained in a latter-day revelation, “Wherefore I, the Lord, command and revoke, as it seemeth me good; and all this to be answered upon the heads of the rebellious, saith the Lord” (Doctrine and Covenants 56:4, emphasis added). You don’t have to wonder about what is true. You do not have to wonder whom you can safely trust. Through personal revelation, you can receive your own witness that the Book of Mormon is the word of God, that Joseph Smith is a prophet, and that this is the Lord’s Church. Regardless of what others may say or do, no one can ever take away a witness borne to your heart and mind about what is true. 1. See Book of Mormon Central, “Why Did Nephi Believe the Lord Would Prepare a Way? (1 Nephi 3:7),” KnoWhy 263 (January 18, 2017). 2. Russell M. Nelson, “Revelation for the Church, Revelation for Our Lives,” Ensign, April 2018, online at lds.org.